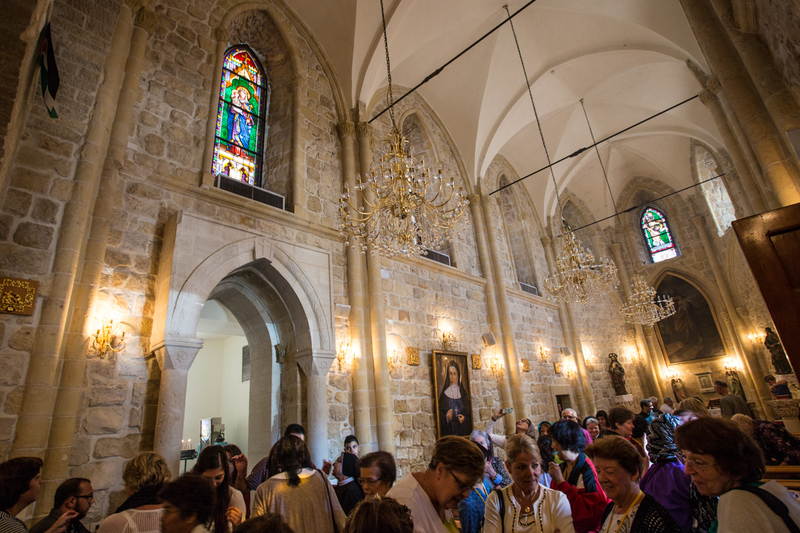 The Church of the Visitation commemorates the visit paid by Mary upon Elizabeth (St John the Baptist’s mother) when each were pregnant, and is located upon the site where tradition tells us Mary first recited The Magnificat, one of the oldest hymns to Mary on record. The original church upon the site was erected under the order of Helena of Constantinople, who identified the site as the home of Zechariah, and place where he and Elizabeth hid from King Herod’s soldiers. 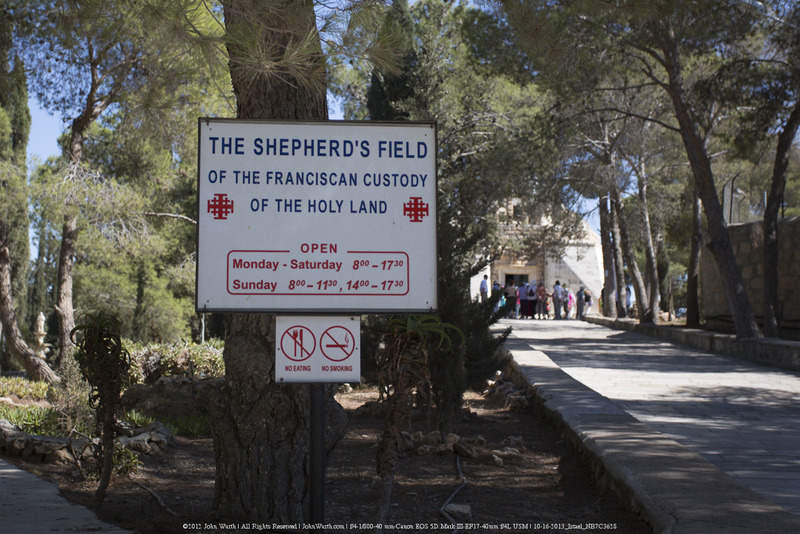 The Shepherd’s Field, just outside Bethlehem, is thought to be the site where Angles appeared to the Shepherds upon Jesus’ birth. Upon the site are a Greek Orthodox church and a Roman Catholic chapel, as well as numerous excavations dating from the 4th-6th centuries, which include the ruins of a monastery, cisterns, mosaics, and natural caves which were expanded and used as living quarters during the time of Christ. 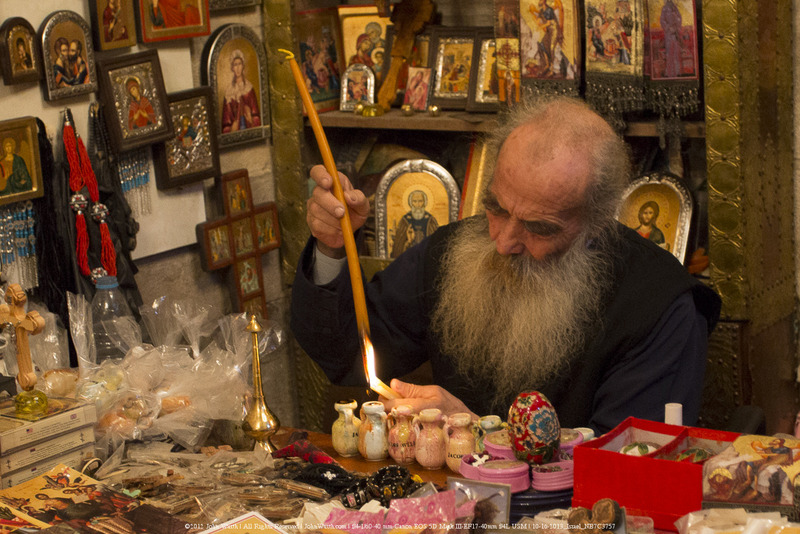 The Church of the Nativity is located in Bethlehem, in the West Bank, Israel (Palestinian Territory). 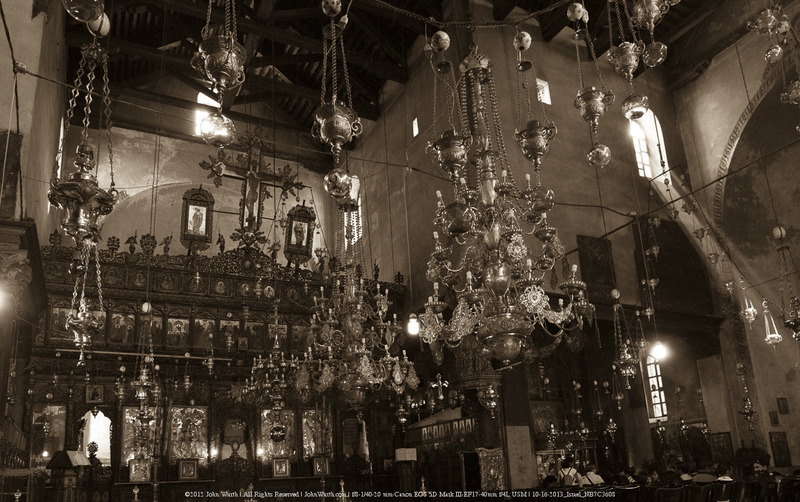 It is believed that the church sits upon the exact spot where Jesus was born. The star with the hole in it in the picture above marks the location. Such stars are seen throughout the Holy Land for major Christian sites, their purpose being to prevent visitors from taking “souvenirs” of the sites. The idea behind them being that visitors may put their hand through these stars to touch the living rock of the religious location, but the confined quarters prevent people from taking a piece of the location, which was a common problem in the past. The Greek Orthodox St. Photini Church is located in the town of Nablus, in the West Bank, Israel (Palestinian Territory). Within the church is the well where it is believed Jesus spoke to the Samaritan woman in John 4:5-6. Further information is available below the gallery.